If you've ever wondered about the generations of your family that have come before your grandparents or great-grandparents, then you might want to try out this online genealogy software. The basic version is free, so why not try it? This site also contains free family tree software. The main idea is that you can start a family website and invite all your known living relatives to contribute. Then they can help you fill in the missing information, such as dates-of-birth, photos, maiden names, and places of origin. 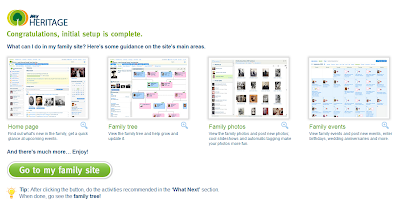 Your family's site is divided into six tabbed sections. 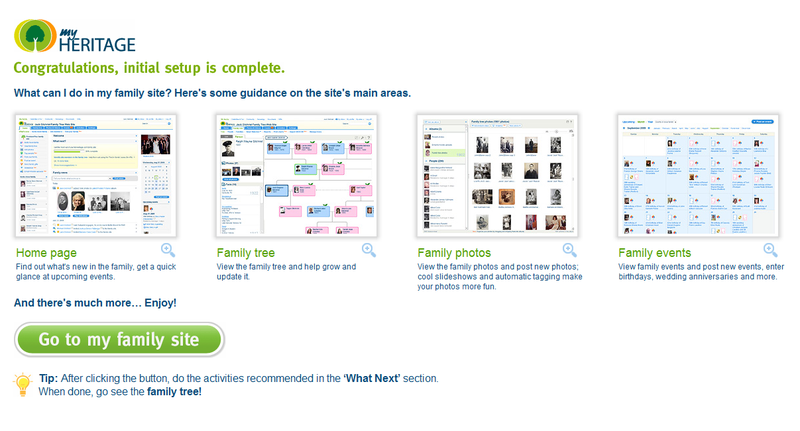 The main ones, your homepage (or dashboard), Family Tree, Family Photos, and Family Events calendar, are shown below. It is almost like having your own private mini-community for your family and relatives. Also available on MyHeritage.com is a section called "Celebrities & Fun". 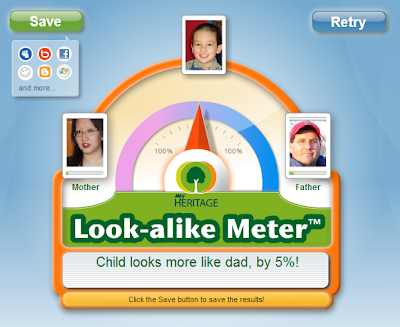 There you can find out what celebrity your resemble, create a video showing your face morphing into a celebrity, and use the Look-alike Meter to see which parent a child resembles the most. We have always said that our 6yr old son is exactly half my husband and half myself. Well, we were close. 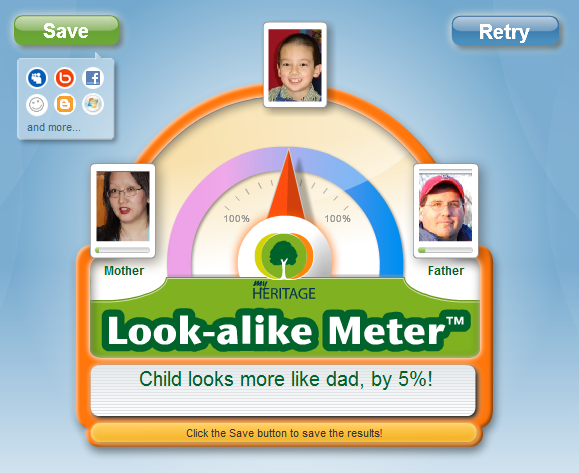 According to the Look-alike Meter, our son looks 55% like his father and 45% like me. The results are also easily shared through email, Facebook, your blog, and other popular social networks.